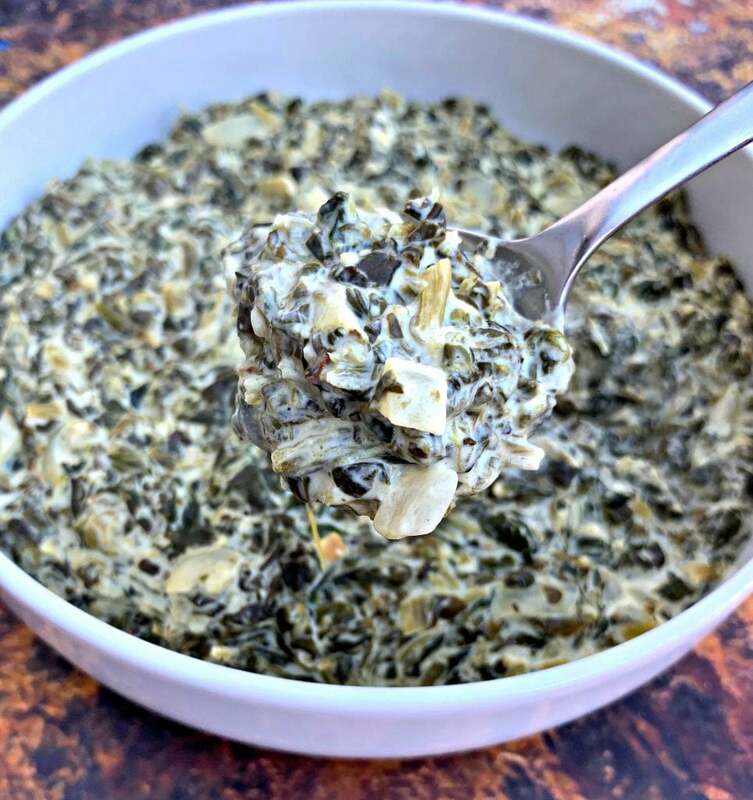 Easy Keto Low-Carb Instant Pot Garlic Creamed Spinach is the best quick recipe using frozen, chopped spinach, cream cheese, and sour cream (or plain Greek yogurt). This 5-minute recipe makes the perfect side dish for weeknight dinners or even holidays like Thanksgiving and Christmas! I typically order creamed spinach as a side dish when I am dining out at “fancy” steakhouses. I have even seen Martha Stewart’s recipe for Creamed Spinach. 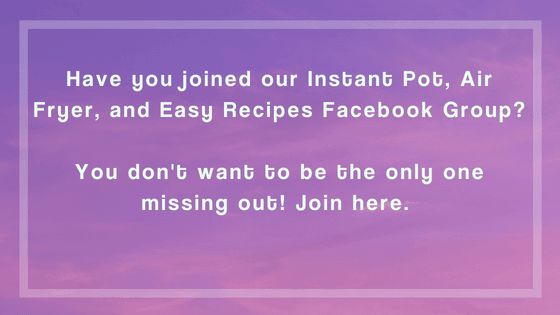 I have been making my own for years and it’s time I tried it out in my Instant Pot to save time. How Do You Make The Best Creamed Spinach? 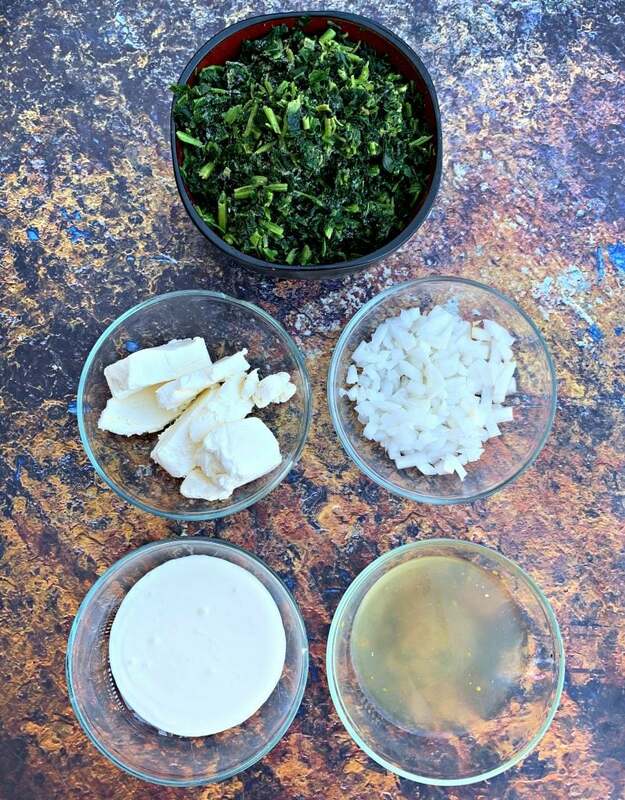 How Do You Make Creamed Spinach From Scratch? 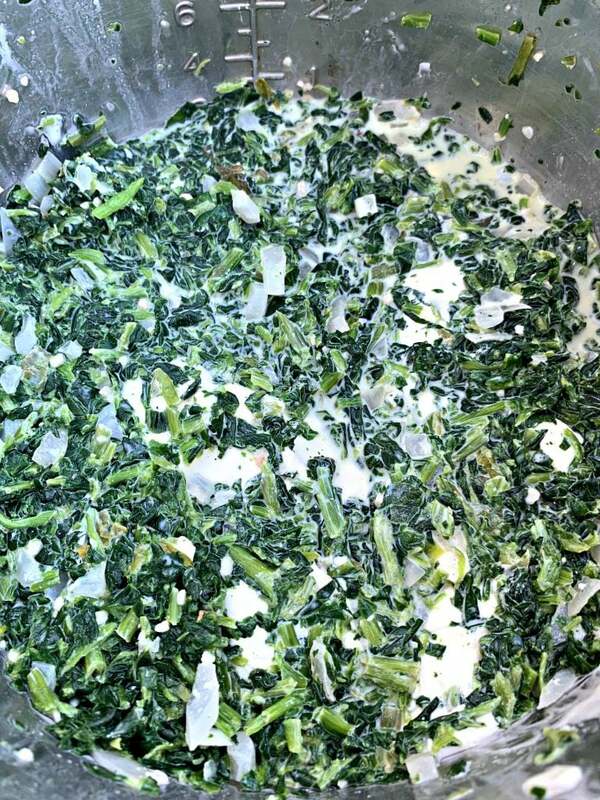 The best creamed spinach uses frozen or fresh spinach, garlic, onions, cream cheese, sour cream, nutmeg, salt and pepper. Top it with freshly grated parmesan cheese. 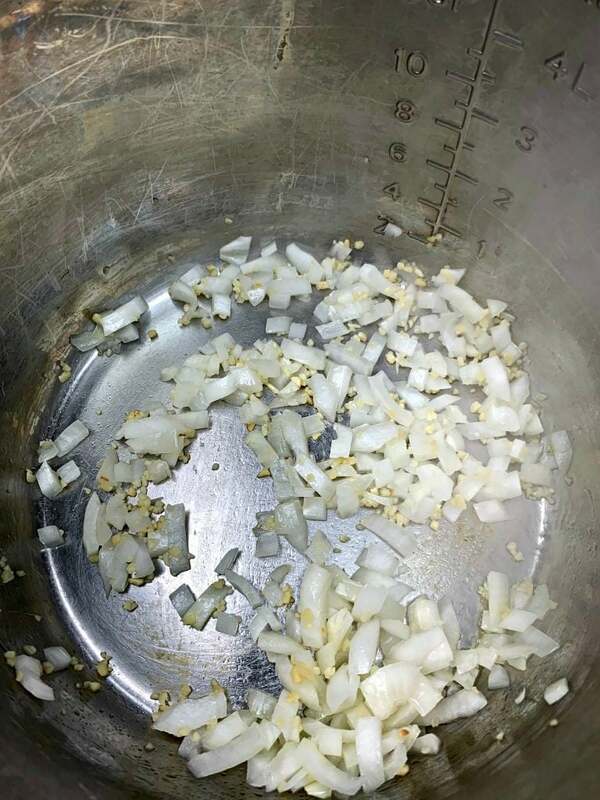 Saute your garlic and onions first. Then add all of the ingredients (except the cheese to the Instant Pot). When the spinach has finished cooking stir in the cheese. 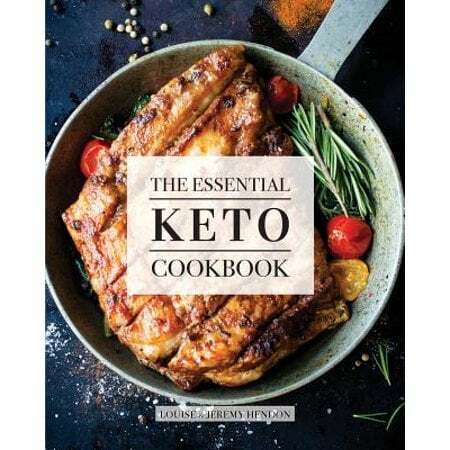 This recipe is low in carbs and is great for keto, low-carb, and sugar free lifestyles. 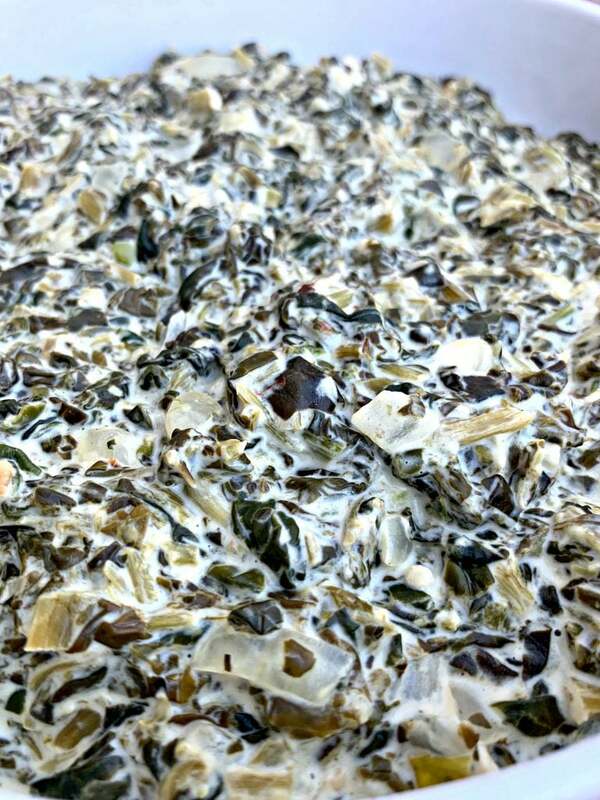 Can You Make Creamed Spinach with Sour Cream? Absolutely! In fact, I use it in this recipe! You can also substitute plain Greek yogurt. 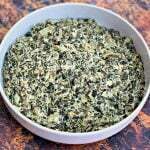 How Do You Make Creamed Spinach Without Cream? This recipe does not use any cream or milk, but I do use cream cheese and parmesan. 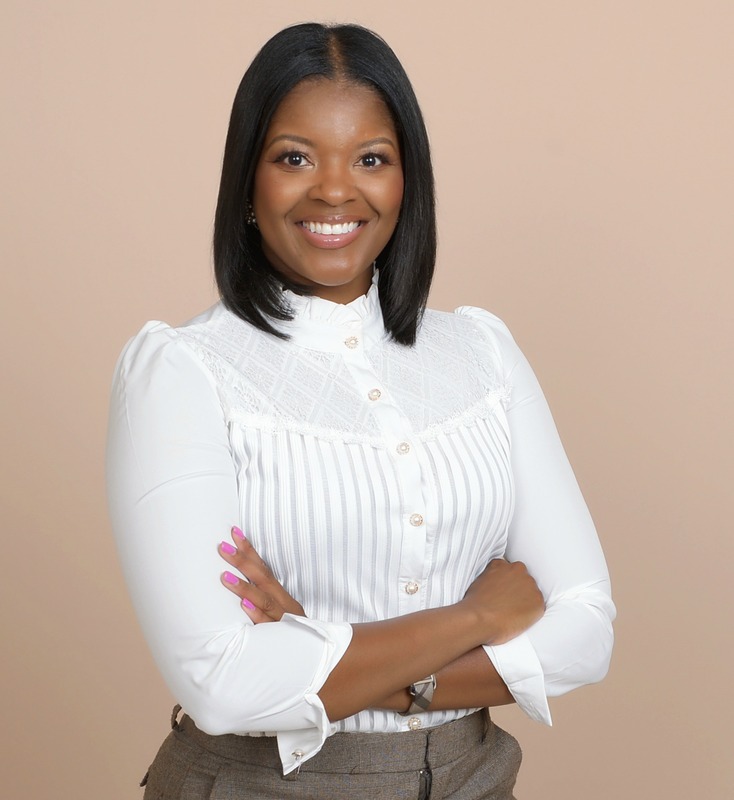 If you are looking for dairy-free, you may not want creamed spinach or you can use dairy-free alternatives for those ingredients. 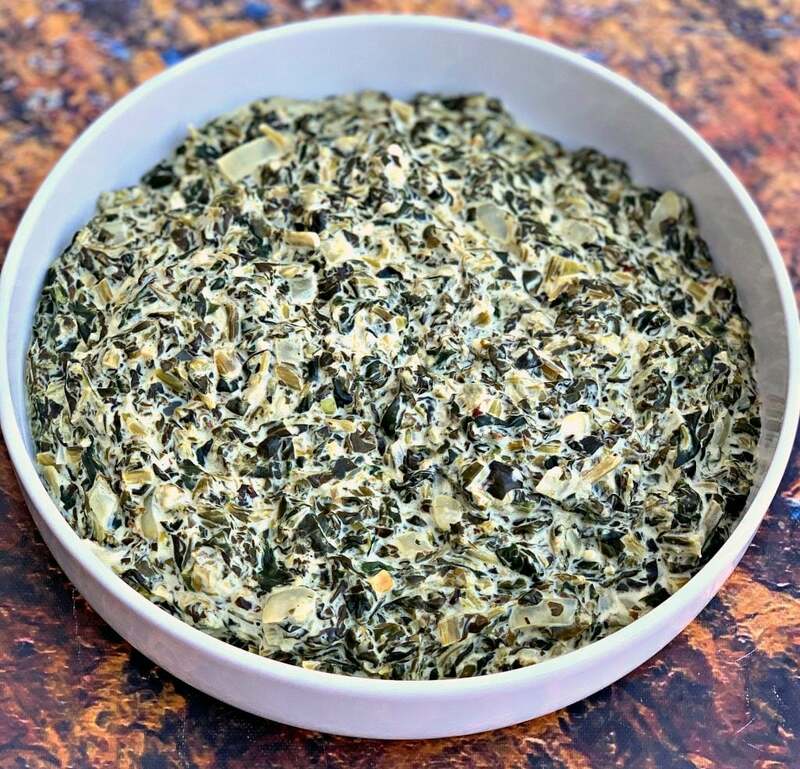 How Do You Make German Creamed Spinach? German Creamed Spinach is very similar and is paired with German meat dishes. Check out a recipe here. 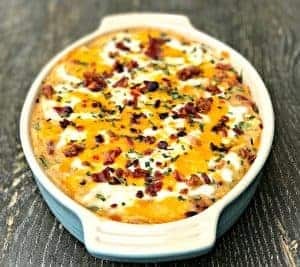 You can also pair this with my Keto Bacon Cheeseburger Casserole. 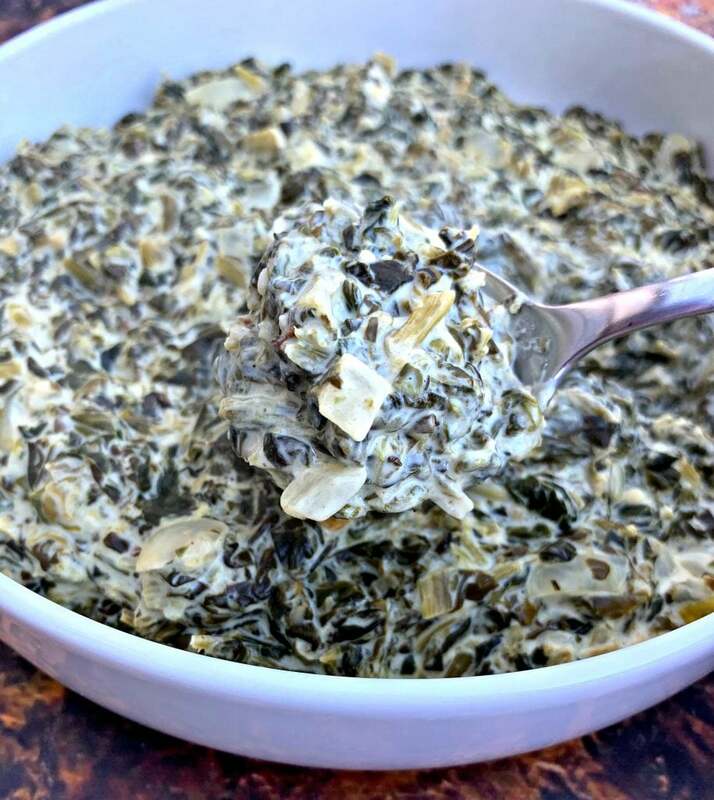 Easy Keto Low-Carb Instant Pot Garlic Creamed Spinach is the best quick recipe using frozen chopped spinach, cream cheese, and sour cream (or plain Greek yogurt). This 5-minute recipe makes the perfect side dish for weeknight dinners or even holidays like Thanksgiving and Christmas! 16 oz frozen chopped spinach I prefer to use the frozen spinach that comes in a bag instead of the boxed frozen spinach. Note: I prefer to use frozen chopped spinach that comes in a bag because it isn't frozen in a block like the frozen spinach that comes in a box. If you use block frozen spinach, I recommend you defrost and drain the water first. If you don't, the recipe will likely turn out soupy because of the excess water. You can also use an equal amount of fresh spinach if you wish. The cook time will remain the same. Place the Instant Pot on the saute function. Add the olive oil, garlic, and onions to the pot. Cook for 2-3 minutes until the onions become fragrant and translucent. 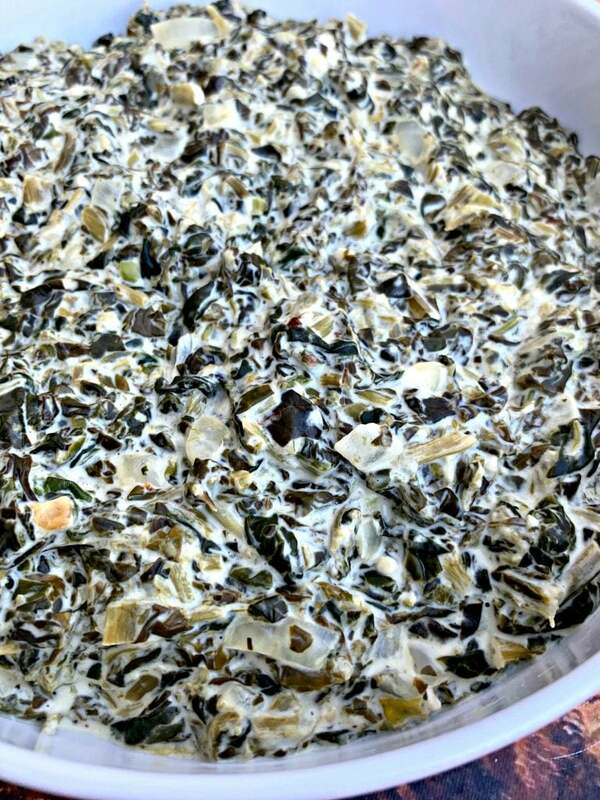 Add the frozen chopped spinach, cream cheese, chicken broth, and sour cream (or Greek yogurt) to the pot. Season with nutmeg, salt, and pepper to taste. Cook for 5 minutes on Manual > High-Pressure Cooking. Open the lid and add the parmesan cheese. Continue to stir until the cheese has melted. 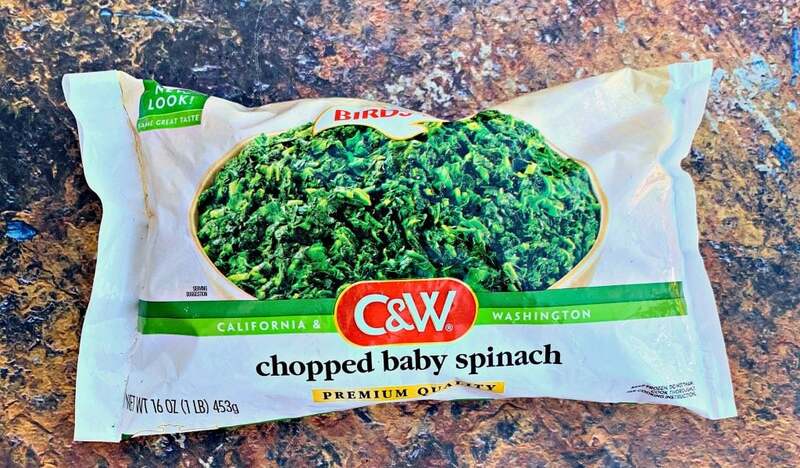 It is good that you can get chopped up spinach in packets. I have never seen like that in Australia, but even we can not get them, this recipe can be cooked in 5 minutes! so great! This creamed spinach makes an excellent side dish! 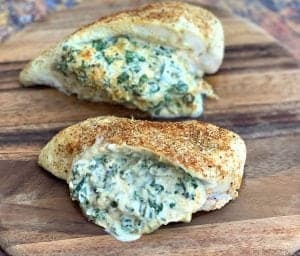 I’m embarrassed to admit I’ve never had creamed spinach before, but now that you’ve turned it into a pressure cooker version, I can’t wait to make it! Thanks for the recipe! 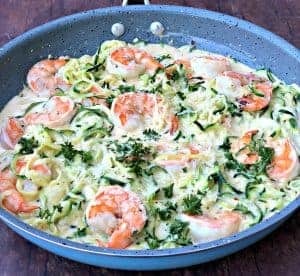 How would you cook this if you did not have an instapot? I do not have one! This turned out delicious. 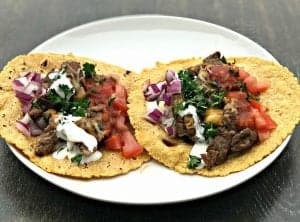 I used Greek Yogurt instead of sour cream which, I think, added another depth of flavor.. Wonderful! 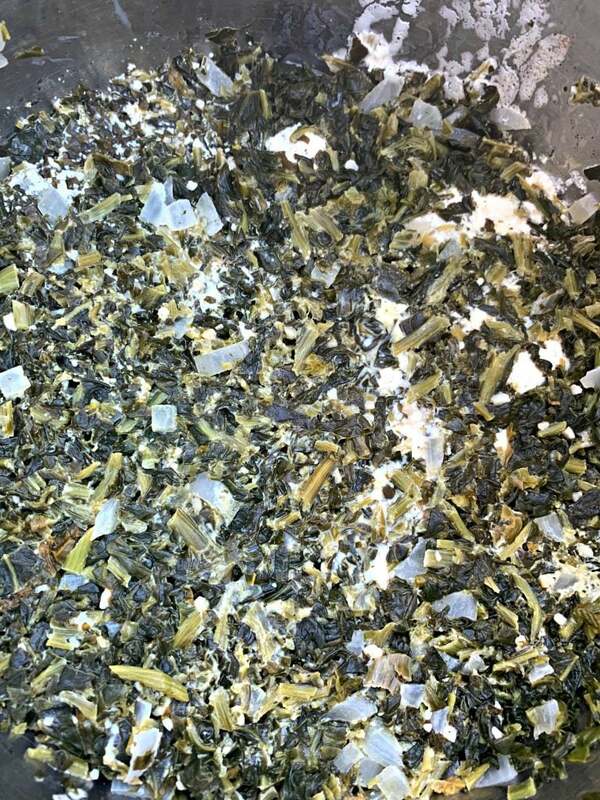 Parmesan cheese sounds delish! I hope you try more of my recipes!